"How do I format my hard disk on MacBook Pro? Do I need to go to Apple? Please help!" There are various reasons behind formatting hard drives. Maybe due to space issues or you want to sell your Mac or privacy issues, or simply you want to refresh everything for a better experience. 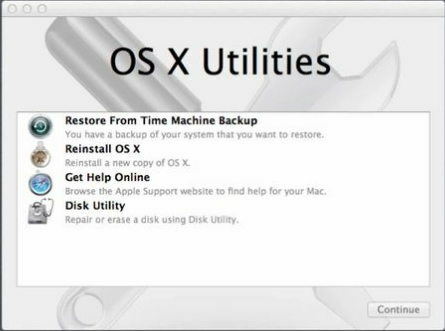 Formatting hard drive for Mac has been very difficult for the users, though Disk utility lets you perform the task smoothly, mostly you will need some help if you are a first time user. So, before you take any decision or run to the nearest Apple store, read the steps below to understand the process. Then you may not have to ask for help every time you are in need of formatting your hard drive. 1. Open your Mac, navigate to "Applications" and launch"Disk Utility". 2. The left side of the Disk Utility panel will show all the drives and partitions connected to your Mac. 3. Select the drive you want to format. 4. The moment you select that particular drive, all of the drive information including a partition map, its capacity, and the S.M.A.R.T. status will be displayed. 5. Now, the panel will go and new warning messages will pop-up. It will warn you that formatting that drive will erase all of its contents. 6. You will also be given the option to name the new partition. 7. A new panel will open, it is called "Erase panel". 8. Type the name of the new partition in the Erase panel. 9. In the Erase panel, there is a drop-down file system list; you have to select one among them. 10. OS X Extended (Journaled) is the default choice. 11. There is also a partition map in the Erase panel, choose "GUID Partition Map". 12. This is also the default choice and works on every Mac. 13. There are also two other options available, but they are designed for specific needs. 14. Finally, you have completed all the selections, now click on the "Erase" button. After that Disk Utility will start its work and erase the drive and then format it. 15. Lastly, a new partition will be created on your Mac. 16. After you are finished click on the "Done" button. 1. Connect the external drive or USB to the Mac. 2. Run the Disk utility app on Mac. 3. Find the name of that drive on the left side of the Disk Utility panel. 4. Then click on the "Erase" tab on the top. 5. Now, just beside format click on the MacOS Extended (Journaled) as the system. 6. If you want to change the name of the drive you can do it. 7. Finally, click on "Erase" button to confirm the command. That is all! You can format any small hard drives, SSD's and USB or flash drives very quickly but bigger hard drives will take longer to format. Often many users forget to back up their hard drive and they carelessly format the Mac and in the end, the entire drive gets deleted. 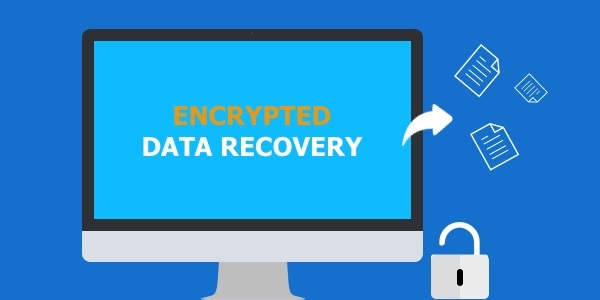 Usually, it would be impossible to recover those lost files but Tenorshare Any Data Recovery has the capability to complete that impossible task. 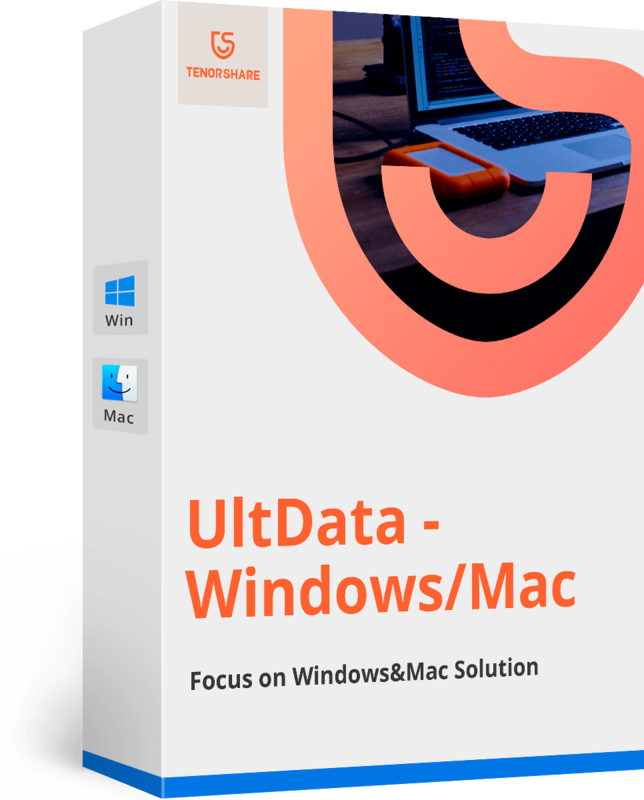 Tenorshare Any Data Recovery for Mac is designed for both Mac and Windows. It is a very powerful data recovery app, which is able to recover anything from lost/ deleted data or files, regardless of data type. 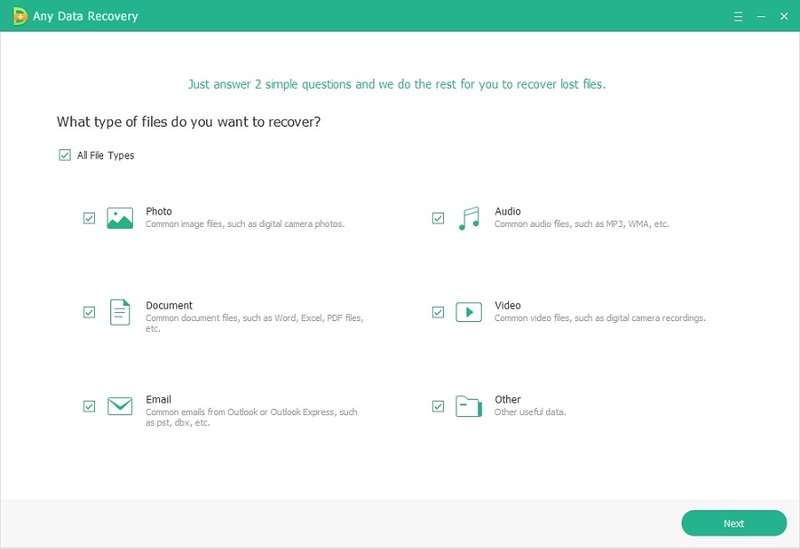 You can recover photos, videos, documents, audio etc. It can even recover call history, contact information, and messages. It also works on other iOS devices like iPhone, iPad etc. The user guide to use this app on Mac is mentioned below. You are going to use the app in "Lost File Recovery" mode. It will allow you to recover deleted files even after you have formatted the hard drive. You can also recover data from external drives and USB drives as well. 1. Download, install and run the app on Mac. 2. Now, on the main panel, all the volumes of Mac are visible. You need to select the one where you lost the data and then click on "Scan"to begin scanning. 3. After the scanning is complete, all salvageable files will be displayed. 4. Select the ones you need and then click "Recover" to get the files. All your selected data will be recovered in minutes. So, basically, you do not have to worry about anything anymore if you have accidentally deleted some files or documents or formatted the hard drive. You can recover them easily with the help of Tenorshare Any Data Recovery. Overall, formatting a Mac hard drive is significantly difficult if compared to Windows drive formatting. But still, it is not so difficult that every time you are in need to erase a drive, you have to rush to your nearest Apple service center. This article has widely discussed the formatting process of your Mac hard drive as well as how to format a USB on a Mac or any other external hard drives so that you can do it on your own easily. So, before you do anything just go through the article, it will surely help you a lot. And just in case, you format the drive without backup, you know what to do, go for Any Data Recovery app and you will be covered!